Nagoya Castle: Now with 10% more Ninja! If there is one famous place that exemplifies Nagoya, it is the sprawling grounds of the reconstructed Nagoya Castle. I couldn’t possibly visit Japan’s fourth largest city without spending some time at it’s most famous historical monument! I was hoping to get a sunny day and take some sweeping landscape photos of this majestic structure, but the weather was not on my side. Even without the sun, Nagoya Castle was beautiful, fun and educational to visit. Plus, there were Ninjas! I woke up Tuesday to the sodden realization that the weather forecast had changed again, and the rain was not going to stop until I was back in Korea. It wasn’t as bad as Monday, however, mostly cloud cover and the occasional sprinkle. I had forgotten my umbrella at the katsu restaurant the night before, but I wasn’t worried since umbrellas are for sale in every subway station and convenience store (right next to a huge steaming pile of foreshadowing). I looked into the possibility of doing the Golden Tour Bus day pass. The Me-Guru is a kind of hop on hop off bus that runs around the most popular places in Nagoya. You can get a Me-Guru day pass for 500 yen which is great if you are planning to hit up several tourist hot spots in one day. Unfortunately for me, there wasn’t a stop anywhere near my friend’s house, so I was going to have to take the subway at least 2 times (out and back) making the 500 yen ticket less attractive to me. 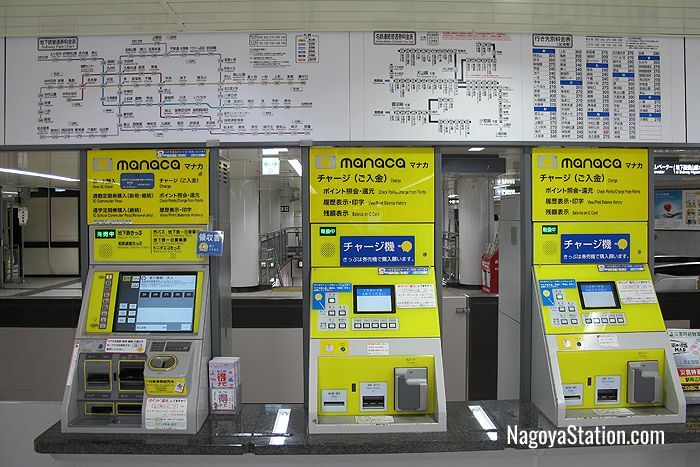 If the Me-Guru isn’t getting you where you want to go, you can also get a city day pass for subways for 740 yen, or subway bus combo for 850 yen. The main attraction of the Me-Guru Golden Bus is that it drops you very close to tourist attractions that might otherwise be a hefty walk from the nearest regular bus or subway stop. Atsuta Jingu is very central and easy to access, but the Nagoya Castle and Tokugawa Gardens are rather out of the way. Lucky for me, the Me-Guru bus also offers single ride tickets for 210 yen which you can buy on the bus just like any other city bus. I would recommend the Me-Guru day pass if you happen to be staying anywhere near one of the bus’s stops, however I opted to take the subway (270 yen trip) to Nagoya Castle, then the Me-Guru to Tokugawa (210 yen), and finally the subway again (270 yen) back to my ersatz home base for a grand total of 750 yen. I mention all this because it’s acutely important to figure out transit in Japan before you go unless you are made of money and time. Since most of us aren’t… Data plans and mobile WiFi hot spots are expensive and not really necessary given the proliferation of free WiFi, but it does mean you can’t to a Google search any time anywhere, you have to find the WiFi first. I like to research my routes over breakfast and take screenshots of the map and directions to reference later when I’m out of WiFi range. So, Tuesday morning, while I was enjoying my “morning service” again, I pulled up a million maps to see where I would go and how far I would have to walk/wait between each one. The public transit options between the Castle and the garden are dreadful. Hence the one stop Me-Guru ride. If you don’t plan ahead, you may not know where the next bus stop/subway station you need is (it might not be the one you came out of or the closest one may not go where you want to go). You could find yourself walking farther than you want, which doesn’t sound like much, but we tracked our walking on Sunday and got almost 10 km in one day of aimless tourist meandering. It adds up fast, and while I don’t mind walking for health or enjoyment, I don’t want to waste vacation time and energy walking extra to the bus stop when I could be using it to walk through something cool! Plus, if you suddenly find yourself knackered from unexpected heat, humidity, and ridiculous amounts of walking (this happens to me at least once per vacation), taking a taxi back to your hotel in Japan could cost 50-100$, that’s US dollars, folks. Taxis are EXPENSIVE in Japan. Ubers are not better. From the nearest subway station, the walk into the Castle compound is down a little restaurant corridor that sells everything from Nagoya specialties to the Castle’s very own gold plated ice cream. Yes, gold plated ice cream. It’s not actually very expensive, and it’s highly Instagramable, but I couldn’t bring myself to buy one as I have recently been complaining about the out-of-touch rich people in America eating gold plated tacos while children can’t get fed in school… soooooooo…. no gold ice cream for me. The ice cream isn’t trying to be Richie Rich, it’s actually meant to imitate the golden tiger-fish that is the symbol of the castle. During my post vacation research phase, I got curious about how they could afford to sell these golden ice creams for 6-9$ a pop, and I discovered that you can buy edible gold sheets for surprisingly cheap. One seller on Amazon is selling 10 sheets for 7$. The gold taco I was upset about? 25,000$… US….At 0.70 per sheet, it may be silly to eat a golden ice cream cone, but it’s not actually Louis XVI levels of decadence and class warfare. Eat the rich. Nagoya Castle is the number one tourist stop in Nagoya and it’s not even finished! Almost everything you see there was destroyed by Americans in WW2 during the fire bombings. A fact the informative signs will not let you forget since everything you read will tell you how the original was destroyed and whether what you’re looking at is a transplant or a reconstruction. Traveling around Asia, you inevitably see signs like this because nearly every temple, castle and historical site has been sacked during one war or another. In China and Korea, you find things that were destroyed by the Japanese. In Japan, you find things that were destroyed by the Americans. The castle and grounds were still heavily under construction during my visit, but I’m told with some degree of excitement by the locals that the reconstruction should be finished this (2018) summer. The first sight that greeted me walking in the gate was the tower of Hommaru Palace. The tower is done in a similar style to the main castle, but is much smaller. Once you get around the corner and over the moat, there is a beautiful brand new palace. According to the literature I was given to take home, the Nagoya Castle was declared a National Treasure back in 1930, but sadly destroyed in the 1945 air raids… ok they don’t call out America by name, but we all know. The palace compound has been undergoing reconstruction on and off since 1959, but the Hommaru palace reconstruction only started in 2009! I am not an architecture buff, but I do enjoy a beautiful building. I especially appreciate that Nagoyans decided to use all traditional materials and craft techniques to remake the structure. It doesn’t just look like the original, it preserves the artistry and history of Japanese culture — not only the woodwork, but also the fittings, metalwork, and paintings. There was an intense research project designed to microscopically and chemically analyze the original scraps that survived the fire bombing (have we mentioned that recently, because Nagoya Castle does not want you to forget) so that the paintings could be replicated as authentically as possible. Despite the chronic reminders of our history of conflict, the restoration process is fairly interesting. If you want to see more details, they’ve got a lovely website. As I approached the palace proper, there was a group of Japanese businessmen having a chat in front of a very photogenic area. However, my faith in Japanese politeness was rewarded. As soon as one noticed me holding my camera (phone) nearby, they gestured to the others to move out of the way and we all smiled and bowed to each other before I went on to take the photo. So much politeness! Following the path, I noticed an area where a few other visitors were lining up and entering the building so I paused to check it out. The staff were sooooo excited to share with me. They showed me a little video of how to tour the building correctly (no touching, no flash photos, etc) and explained the character in costume stopping all the bad behavior on screen was the father of the famous king who had ruled from this palace and a famous general. I was asked to wear my backpack on my front to avoid bumping anything, and all of us were asked to remove our shoes before going inside. Slippers were available, of course, and there were free shoe lockers as well. For an extra 100yen, an audio tour of the palace was availble in several languages. I thought about getting the English one, but it was taking the staff 10+ minutes to set up the couple at the front of the line, and I wasn’t second in line. I decided to risk moving on less informed. The palace itself is bright and open. Although the day was cloudy, the inside of the palace somehow still managed to feel sunny with the warm wood halls, paper windows, and gold accents. Drifting sock footed through the hallways, I felt a sense of what visiting the royal palace might be like. Everything was hushed and clean. The halls were made of the same pale wood on all 4 sides creating an effect of being inside a tree. Every few meters, the interior hall wall would open up into an opulent room. The 3 visible walls inside each room were covered with the ornate and painstaking replicas of the Edo period paintings. In practice, each of the rooms would have had a specific ceremonially significant purpose. A room for receiving guests of a certain social standing or another. A room for dining, one for tea, one for drinking sake and listening to music. One room had a fire pit built gracefully into the floor and a hidden vent in the ceiling to carry the smoke of roasting meat and fish up and out. The low wooden bars are just to keep people from walking into it, not an actual part of the function. Indoor fire pit is now added to my list of things I want in my imaginary dream house of the future. The palace doesn’t take long to explore and it’s included in the park entry fee. I highly recommend a walk through. On my way out, I ran into the very helpful staffer again. It turns out she had lived in America a while ago and was happy to practice English with me (although I don’t think she really needed “practice”) She told me some more about the restoration process and said I really needed to come back after the construction was complete to see it at it’s best. It made me happy that the people working there take so much pride and interest in the history and culture of the site. Enthusiasm is highly contagious and just talking with her made me more excited to be there. Just after leaving Hommaru, the path turns a slight corner and suddenly there’s the first real view of the Castle proper. This was the real moment I was sad about the weather. Nagoya Castle is elevated, and huge, so any photo will have plenty of sky in the background. My cloudy, rainy day resulted in a very plain light gray sky instead of a fluffy cloud filled azure backdrop. Is it cheating to use filters? Did I mention there are ambulatory ninja on the castle grounds? It’s part of a cultural and historical show. According to the ninja website, two words I never thought I would string together in a non-hyperbolic fashion, there are performances every weekend, but weekdays are listed as “hospitality”, a kind of meet and greet. I was there on a Tuesday, so I only met the two posing for photos and promoting their future shows. Sadly, the castle was closed for the finishing touches of construction, so I couldn’t go inside, but I’ve heard there’s an excellent view from the top. Looking at other people’s photos online, it seems the decoration style is very similar to that of Hommaru palace. The only truly distinctive thing I missed out on seems to be the huge Shachihoko (the tiger fish) that you can sit on and pose with, and the tall geometric stairwell. Next time. Since the castle proper and some of the other areas were closed off for construction, I was encouraged to wander a little off the beaten path. In addition to stopping for teeny tiny flowers which earned me some very strange looks. (Why is she looking at the grass when the castle is right there?) I also wandered off into a little forest grove filled with large, semi-flat stones. It was not cordoned off, but also not really connected to the main walkway either. After some assistance from the Google oracle, it seems I discovered a stone tomb of unique historical properties. I’m still unclear if it’s an original or a replica given the whole bombing debacle, and I don’t know why it was over there all by itself in an extremely unmaintained state in the middle of what were otherwise meticulously maintained grounds. The only informative sign was in Japanese and it mostly focused on the description of the architectural style, geography and time period with no mention as to its context near the castle. Still, it was pretty, and from inside the trees, I got some fun new perspective angles on the castle itself that don’t look identical to every other tourist shot on the web, so yay! A large chunk of the grounds were completely blocked off during my visit. I found a few more interesting goodies like ancient gates and the working tea house where you can stop and have a traditional cup of matcha green tea and a sweet. Of course the souvenir shop would never be closed for construction, but I found the gardens to be a bit lackluster, as though they had not been tended to yet this year, so even though they were not blocked off, they weren’t exactly visitor ready. On my way back toward the main gates, I happened to run into the Samurai. Ninjas AND Samurai. It’s like cosplay meets museum, so very Japanese. Much like the ninja, the Samurai pace the palace grounds daily for photo ops and perform shows on weekends and holidays. My desire to avoid weekend/holiday crowds may have backfired here, but the guys I met were pretty cool nonetheless. The last important sight before my path led me outward was the Shachihoko – the fish tiger. What’s up with that? Well, it’s a mythological creature that is half fish (specifically a carp) and half tiger. The Japanese characters that make up the name of the creature is also a combination of “fish” and “tiger”. 鯱 (shachi) = 魚 (sakana, fish)+ 虎 (tora, tiger) Some argue that the fish is really an orca because “shachi” also translates as “orca” in Japanese. I love language. It’s often put on temples and palaces to ward off fires, but in Nagoya it has become the special symbol of Nagoya Castle due to the two large golden Shachihoko on the roof. Most of the souvenirs, or omiyage, of the castle involve this magical creature in some way, and of course, so does the golden ice cream. I do hope that I’ll have the opportunity to return to Nagoya again after the construction is complete. I would not only enjoy seeing the inside of the Castle proper, I suspect I would greatly enjoy the gardens and side buildings that were inaccessible during my visit. What little I could see through the scaffolding looked intriguing. Plus, next time I won’t feel guilty about trying that glittery frozen treat now that I know more about the edible gold market. ← Food of Nagoya: Tebasaki, Hitsumabushi & Kishimen oh my!